Has there ever been such an irrelevant game with such relevance? Today is about Mr Wenger, Burnley and the 90+ minutes between the first and final whistle are a sideshow. Should this PM be a peon to the mighty Arsene or your bog-standard run through of the runners and riders? Let me ponder a little …. OK. I have decided. 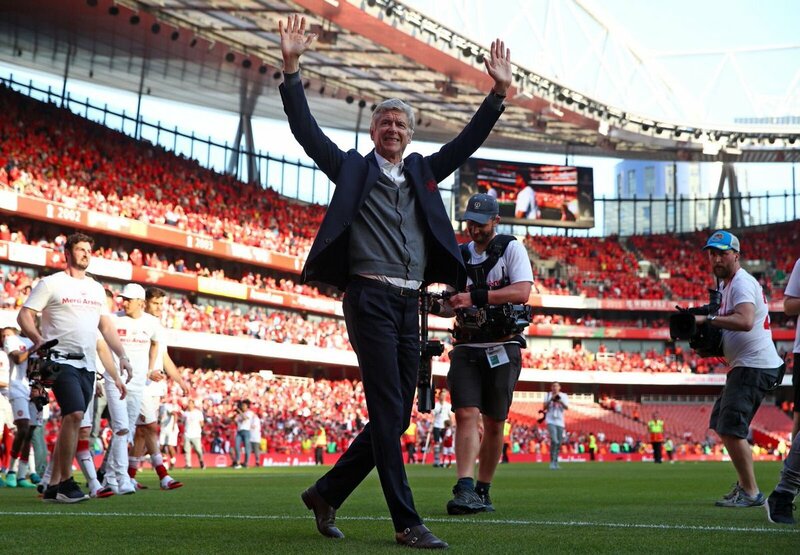 It is to be a normal PM because this game is not season’s end and the final minutes of an era, it is an opportunity for the paying Gooners at The Emirates to say goodbye to a man who is one of my heroes. There will be time for the obituaries in a couple of weeks. But …. I wish I could be there. I really, really wish I could be there. I want a Merci Arsene t-shirt. Sean Dyche has done a fantastic job and must be manager of the season. Guardiola has created a monster of a team but Dyche’s achievement is outstanding. How many Burnley players can you name? Try. How many did you name? I got two – Aaron Lemon and Jack Cork. Do you know that Ben (Bertie) Mee is their Captain? Yet if Burnley win today they have a fair chance of finishing above us!! Remarkable, almost as amazing as Ranieri taking Leicester to the title. An attacking line up. Perhaps AW will give one or two of the youngsters a run – M-N in place of Ramsey, or our new Bubble at CB? Or could Mr. W play the same sort of team which did so well at Old Trafford? Whomever plays and whatever the result today is all about The Great Man. I have a favour to ask. If you are lucky enough to be going to the game and someone around you bad-mouths Mr W. please don’t just sit seething , please tell the ingrate to Go Forth and Multiply. This is one of the rare occasions when having a contrary opinion is totally unwarranted. A final home win would be marvellous. Let it Be So. This entry was posted on Sunday, May 6th, 2018 at 9:55 am and is filed under Uncategorized. You can follow any responses to this entry through the RSS 2.0 feed. You can leave a response, or trackback from your own site. thank you BR and yes COYRRG!!!! Marvelous Raddy. You had me at “Has there ever been such an irrelevant game with such relevance?”. Such a poetic opening Raddy that I thought Keats had become an AA blog writer. I like your team Raddy and let me assure you that if I notice anyone bad mouthing Mr AW today I will not say anything to them, I will just go all Mike Tyson on their ar-e from the off. Such would be the magnitude of their crime that no warnings about their behaviour would be warranted. Great post BR. I kinda feel humbled to be going to Arsene’s last home game. He has brought such joy and made watching The Arsenal so enjoyable over the last 22 years. I am proud to still have my last game at Highbury t shirt, Bergkamp testimonial one and now for the great man himself. Cheers. Fred, time to end the debate. Are you real and let’s see a picture of you? Fred- tell us more about you? Of course he’s not real. He uses a proxy so that his IP address says he’s from Trinidad. What time is it where you are Fredster? A heart felt post. Thanks BR. I booked myself out of the country before AW announced his departure so I infuriatingly miss being at the Emirates today. Nice, and I was just watching Ant-man and the Wasp trailer. I’m on draught Guinness now VP, do you like a drop of the black stuff? Freddie’s in the upper tier, poor old Chelsea. I’m hoping for a 13 goal thriller today. Do you think the ginger pit bull will want it to be a goal fest? Everyone knows they’ll get in the Europa and then have a shite premiership season because their squad isn’t big enough anyway. Are you a batsman,bowler or all rounder Fredster? Dyche hates goals..Micky would despise him. Thank you Raddy, I feel very emotional this morning. The end results have not been up to some supporters expectations but, for this man, the joy of watching his teams play real football exceeded my expectations. I experienced more exhilaration in the past 22 seasons than in my first 48 seasons. In my waning years my main hope is that we don’t return to being the Arsenal of old. Hear, hear. Hear, hear is an expression used as a short, repeated form of hear him. It represents a listener’s agreement with the point being made by a speaker. … was used in Parliament from late in the 17th century, and was reduced to hear! or hear, hear! by the late 18th century. Thanks Raddy … where do you start in eulogising about Arsene? …. I think you’re right, there will be lots of that in the coming weeks. Let’s hope for an entertaining game of Arsene-style beautiful football, and many choruses of the great man’s name. 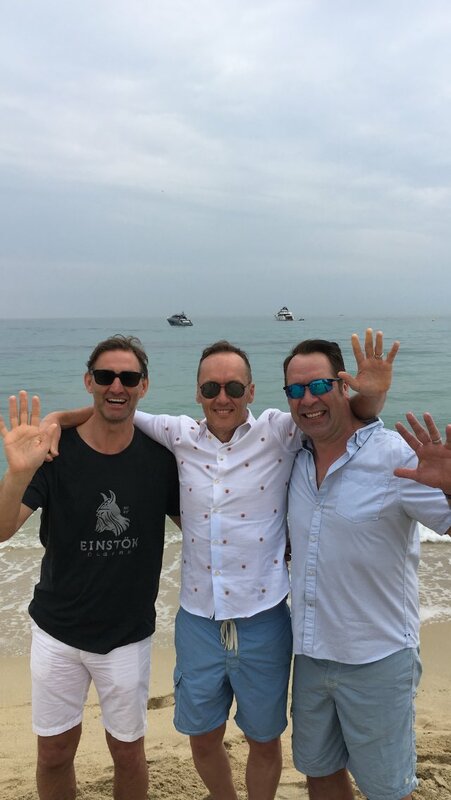 What’s Lee Dixon standing on in that beach photo? is the game online anywhere? That is why we bought PEA and exactly what was missing in Madrid. Fred. We are playing a winning formation! Wilshere having a decent game against not very good opposition. The PEA/Laca/Mhki combo could be very good next season. Fantastic! Really pleased that the boys are doing the job for Arsene today. Would’ve been a nightmare end if we’d lost today. First sign of a new manager and he’s off. I’m gonna do the match report, chas. Well once I dry my pants out anyway. Wow. What a send off. Fantastic that they gave him the Invincibles trophy. So sad to lose a man of such integrity from the club, but the time is right. Did Arsene mention Fred in his farewell speech? Arsene forgets all this managing elsewhere rubbish. We get him a special seat in the North Bank. Well, more…a throne. Like that Game Of Thrones throne. And he holds an Orb, a Sceptre and the Invinky Trophy during home games. Something didn’t quite sit right with the Mertersacker presentation for me. Yeah he’s been a decent player for us, and captained the side too, but I’d say he fell short of being exceptional. I just find it odd that real club legends who have won league titles with Arsenal were not given the same honour in the past. I guess it’s different when a player leaves the club rather than retiring at the club, but I still found it a bit much. What a great day. Great send off. Fred it was left on your seat. So Arsene had me at “I’m an Arsenal fan”, he very nearly reduced me to to more than moistened eyes with “i’ll miss you”. 22 years of incredible dedicated service to our club. When the likes of Bob Wilson hold the man in such high regard it tells you what you need to know about him, any doubts you may have should vanish. On that other great Arsenal legend Bob Wilson, isn’t it about time he was knighted? Football International, double winner, erudite TV host, creator of a highly successful charity. All round good egg. Morning all, fantastic day at The Ems. Everyone played their part. The fans were good (they booed Kroenke and SCK 🙂 ), the football was amazing. The singing was good and covered players from throughout AW’s era, and Arsene felt the love. It was classy without being too sloppy, although there weren’t many dry eyes during Arsene’s goodbye. Allegri back to being a favourite! I didn’t watch the game, so it is difficult to comment. I am glad Wenger got a good sent off, he earned it.